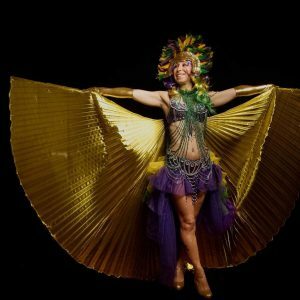 Having a Mardi Gras event? 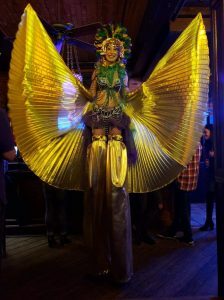 Have Lady Blaze add some extra pizazz to your event. 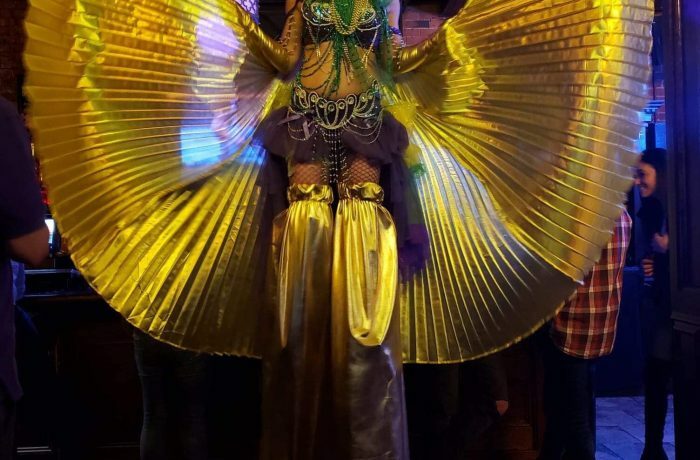 In heels or on stilts let this Vegas show girl costume be the talk of the big event.